Daimler AG is the company that owns and produces the cars we know and love, but the company also has a rich history, dark secrets, and interesting quirks that the public might not necessarily know about. Mercedez-Benz and its parent company are famous for high-end German engineering, but here are some things you might not know. Mercedes-Benz has many times provided the pontiff with unique vehicles. 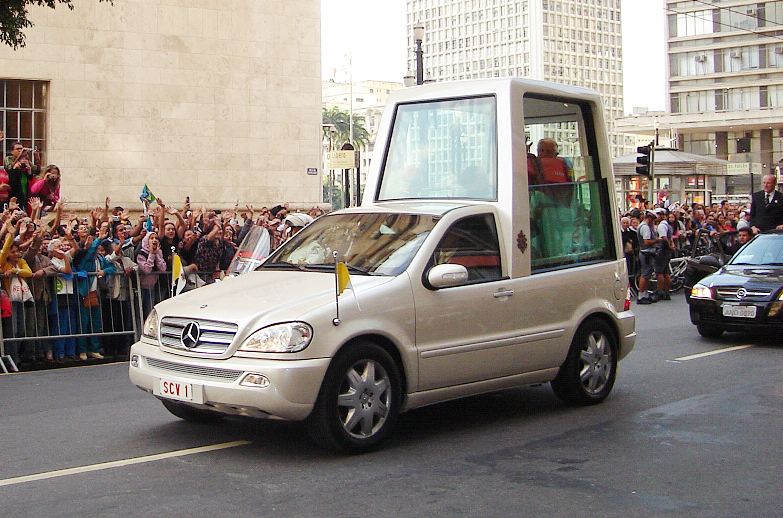 Among those is the iconic and modern Merc ML model, with a glass shelter back end for the pope’s protection. Over the years, though, he’s also ridden in other Mercedes models, such as a 2007 G-wagon, a 1997 S-class convertible, a 1987 608 box van, a 1985 500 SEL, and a 1980 230-G. Today, Pope Francis prefers humbler vehicles, like his 1984 Renault 4, but the glass-enclosed ML model is still in his inventory. The rich and low-profile family largely associated with Daimler is the Quandts, who have had a sordid and strange history that’s tangled with the Nazis. Yes, like many of the other German engineering firms of the 1920s and ’30s, the company was involved with getting free, forced laborers and financial help from the Nazi Party. 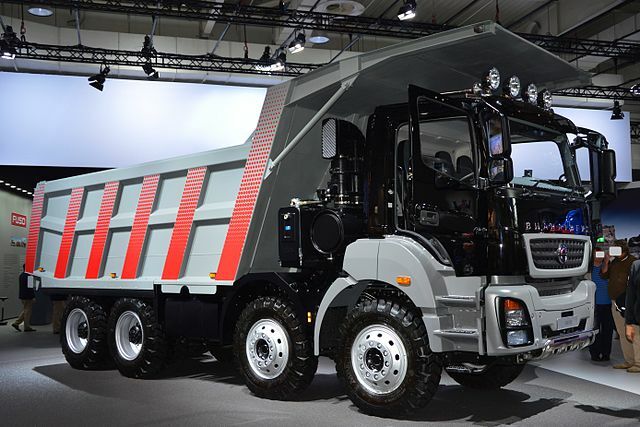 Daimler has admitted as far back as 1986 that it had employed about 40,000 forced workers. Hitler was a big fan of their vehicles. Harald and Herbert Quandt’s stepfather was the famous Joseph Goebbels, the Nazi propaganda chief. Since then, then company has put forth efforts to alleviate past sins, such as being involved in the “Remembrance, Responsibility, and Future” initiative to provide humanitarian aid to forced laborers. So what’s the ironic part? One of Goebbles’s wealthy step-grandchildren, a woman named Colleen-Bettina Rosenblat-Mo, actually converted to Judaism. Bicycles: Under a merger with the Birmingham Small Arms Company (BSA), Daimler made several interesting products, including rifles, ammo, motorcycles, and bicycles. Self-Driving Trucks: Autonomous driving isn’t only for business executives; these semi-autonomous vehicles can be used to haul cargo as well. Racecars: Mercedes and their parent company has been involved with motorsports for quite a while. School Buses: Indeed, this company is affiliated with the safe and reliable yellow school buses we all know and love. A Mercedes vehicle was once the star of a movie called Rendez-vous. An example of cinéma-vérité, this film was shot in a single take by a camera strapped aboard a Mercedes-Benz 450 SEL 6.9. That was a movie in which a Mercedes vehicle was the main character, but the company’s vehicles have filled numerous supporting roles over the years. For instance, in Transformers: Dark of the Moon, a SLS AMG transformed into Soundwave the Decepticon. The Mercedes brand has also frequented sets of several James Bond movies. You might catch a glimpse of the recognizable emblem in classic films like Sin City, Jurassic Park, The Driver, North by Northwest, and Mr. and Mrs. Smith.